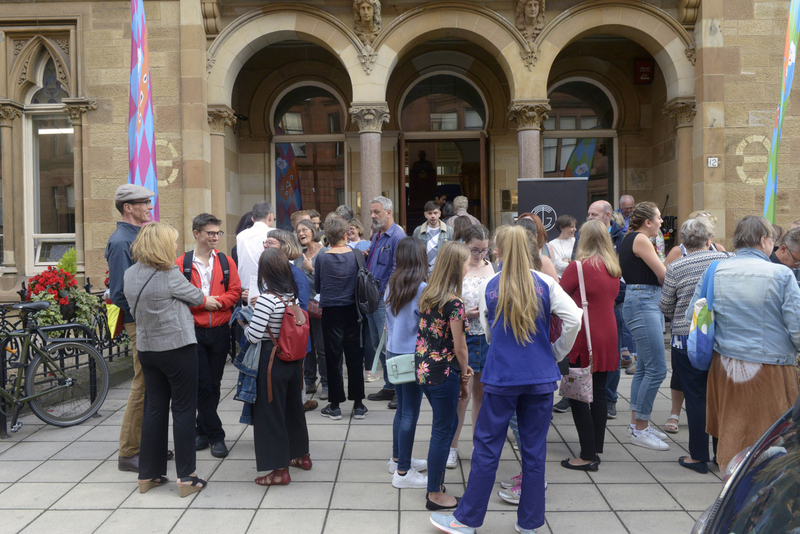 Janice Kerbel’s 'Sink’ was commissioned by The Common Guild as part of Festival 2018, the cultural programme for the Glasgow 2018 European Championships. 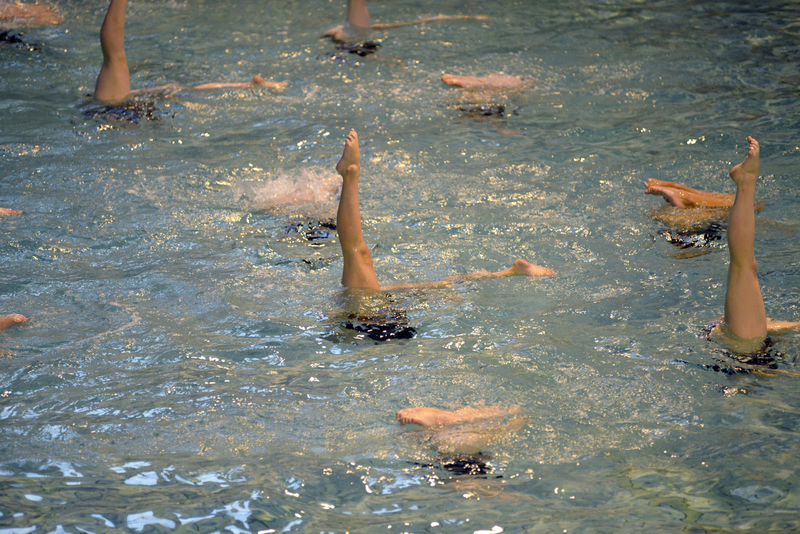 ‘Sink’ takes the form of a synchronised swimming routine, using the language of synchronisation to explore the tensions between body and language, movement and stillness, the individual and the collective. 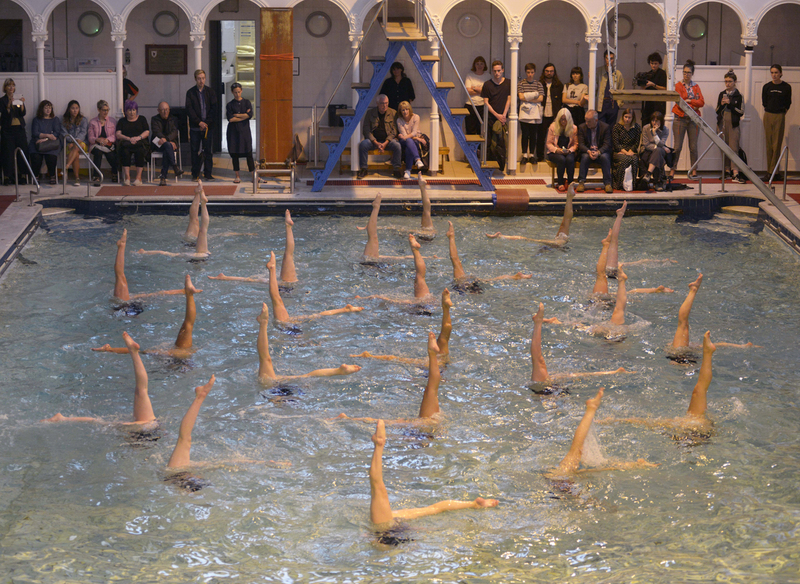 Synchronised swimming is marked by a unique history infused with the magic of cinema, the discipline of dance, and the precision and athleticism of contemporary competitive sport. 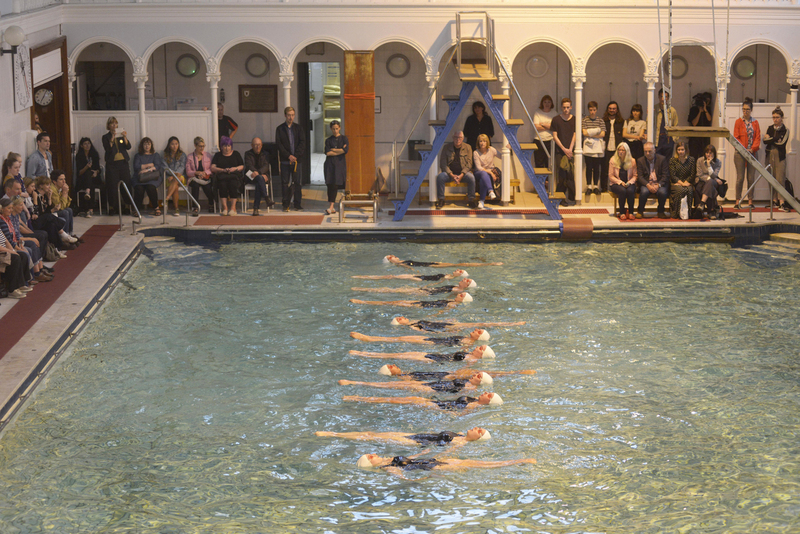 ‘Sink’ explores contradictions inherent in the form to imagine a compositional choreography that is both austere and extravagant, performed by specialist, elite female swimmers. 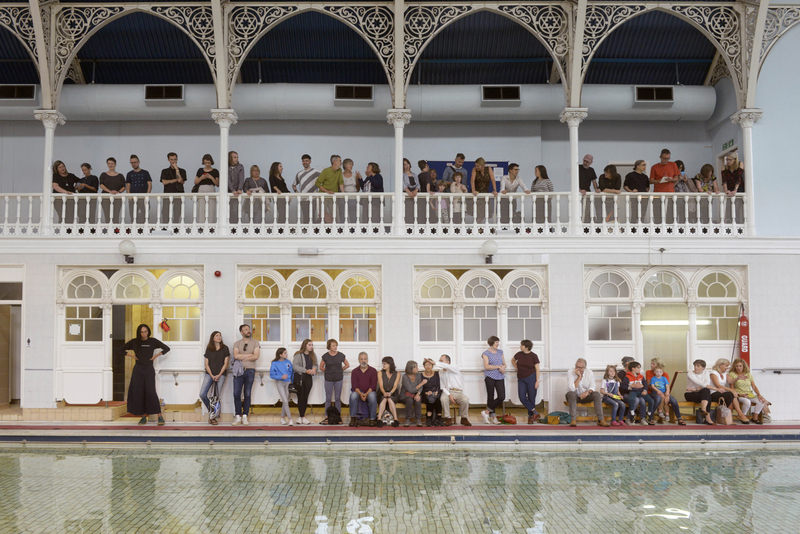 The first live performances of ‘Sink’ took place in the distinctive surroundings of The Western Baths Club, in the west end of Glasgow, on Friday 3 August. 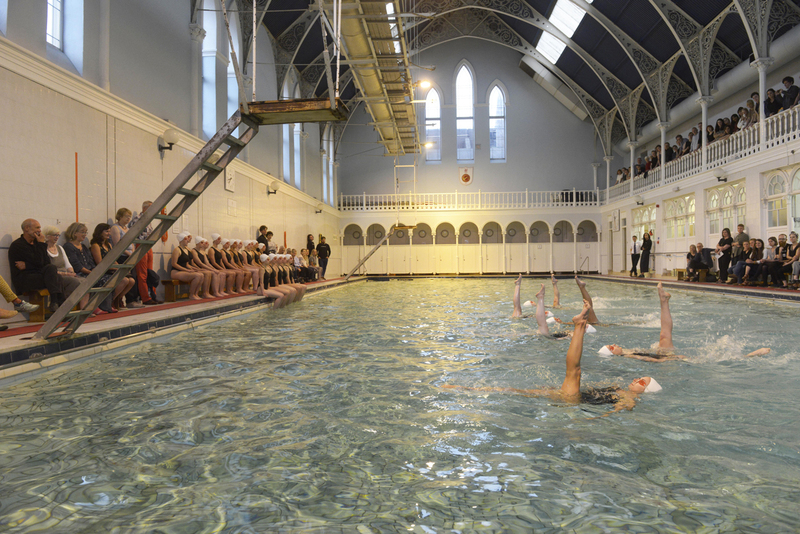 Established in 1876, The Western Baths Club is one of a handful of Victorian-era swimming pools in the UK that continue to be in active use. Operated as a private members’ club, ‘Sink’ offers a rare opportunity to visit the building, and to experience the remarkable pool environment through a unique event. 'Sink' is Kerbel’s largest project to date, and builds on her existent relationship with The Common Guild and Glasgow, where her work ‘DOUG’ was commissioned and first presented in the Mitchell Library in 2014. Kerbel was shortlisted for the 2015 Turner Prize for this work, which was re-configured and re-presented in the Turner Prize exhibition at Tramway. ‘Sink’ was choreographed by Janice Kerbel in collaboration with Adele Carlsen and Lorena Randi. ‘Sink’ was commissioned by The Common Guild and part of Festival 2018, the cultural programme for the Glasgow 2018 European Championships and supported by The High Commission of Canada. Janice Kerbel would like to thank Borkur Arnarson, Cornelia Grassi, Karin Guenther, Sarah Hale, Catriona Jeffries and Mark Lewis. 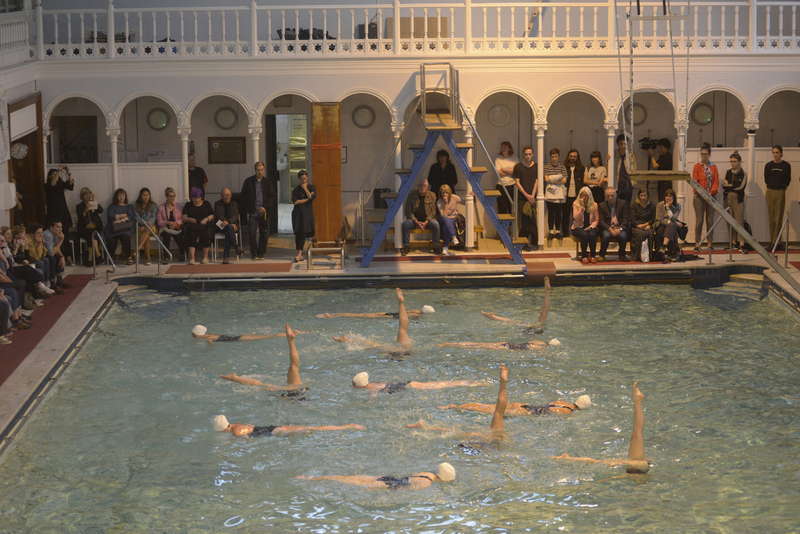 The Common Guild would like to thank Aquabatix, Clydebank Synchro, Synchro Caledonia, Synchronised Swimming in Scotland, Malmsten, Katie Nicoll, Scott Paterson, and Lee Ross & the committee and membership of The Western Baths Club. The Western Baths was established in 1876 as a recreational club, mainly but not exclusively, for gentlemen. To this day it continues to provide services for health and wellbeing for all its members and visitors. 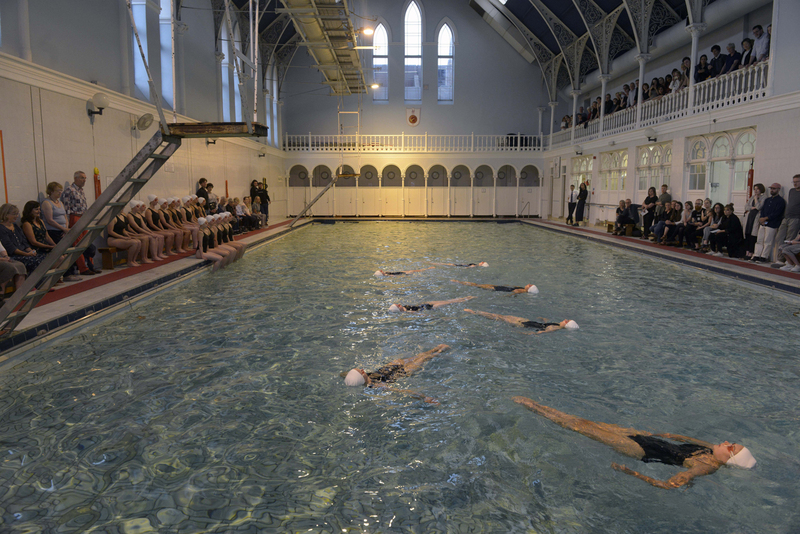 It is one of a handful of Victorian era swimming pools that continue to be operational, including functioning gym apparatus (travelling rings and trapeze) above the pool, one of only three pools in the UK to retain such features. Janice Kerbel / 'Sink' from The Common Guild on Vimeo.